At Georgina Scott Bridal we want to ensure that choosing your wedding dress is an exciting experience and one you will remember. Our fully trained bridal stylists will take you on a journey to find the very best wedding dress designs for you. Using a wide range of new and established designers we are able to give you the choices you need to make the best possible decision for your important day. Pronovias, Pronovias Atelier, Maggie Sottero, Martina Liana, Essense of Australia, Eliza Jane Howell, LouLou, True Bride & more! 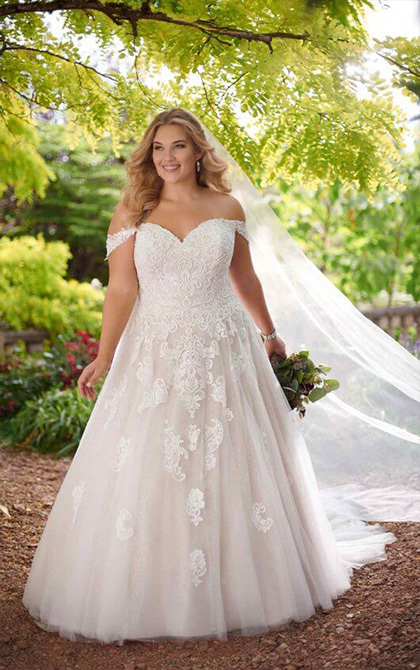 We also have a fantastic range of plus size wedding dresses for brides who want to show off and embrace their curves! Whatever style of wedding dress you are looking for, we are dedicated to helping you choose the perfect outfit from our stunning selection. We will take into consideration your body shape, the tone of your skin, what fabrics you prefer, the location of your wedding and whether you have a theme for your special day. If you have saved images or a Pinterest page with wedding dresses you have found then please bring them along to your appointment so that our stylists can develop a clear idea of the look you are going for. 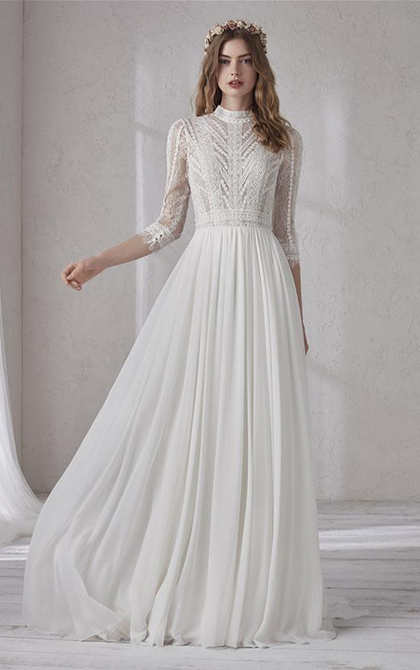 Alternatively, if you are struggling for inspiration or you wish to keep an open mind, our team will use their many years of experience to come up with suitable wedding dresses for you to try on.